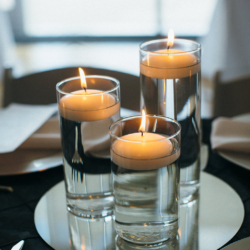 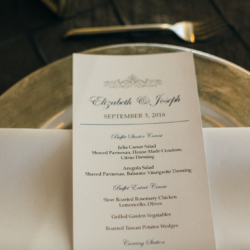 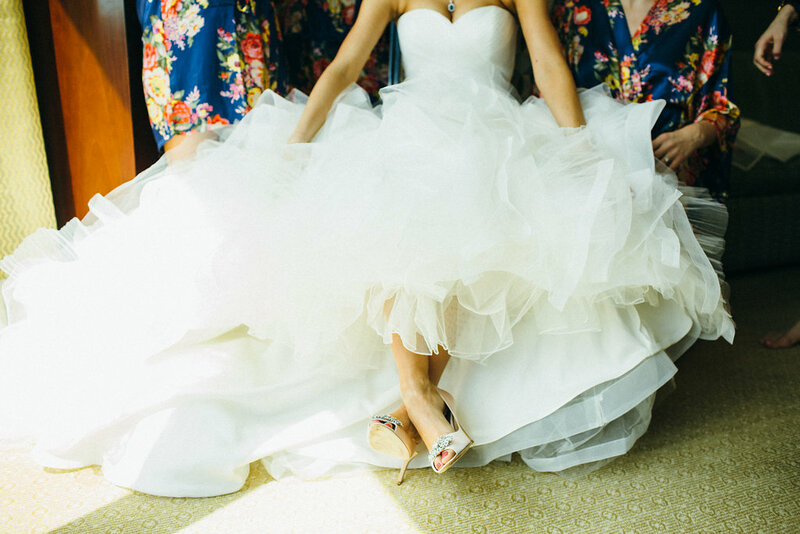 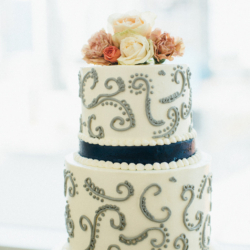 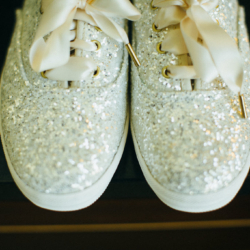 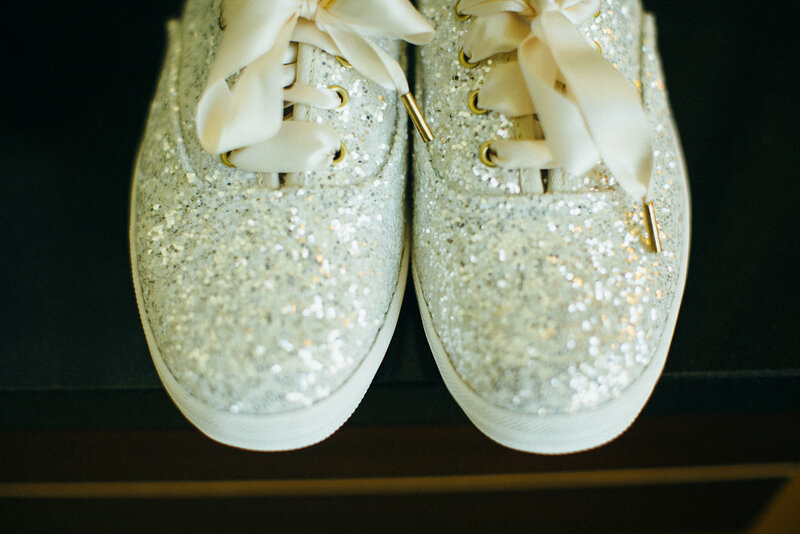 Elizabeth and Joe’s wedding day was a gorgeous event and perfect in every way. 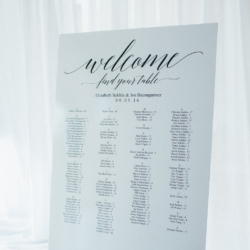 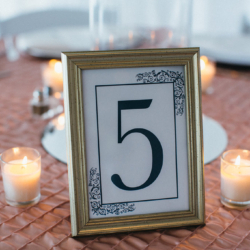 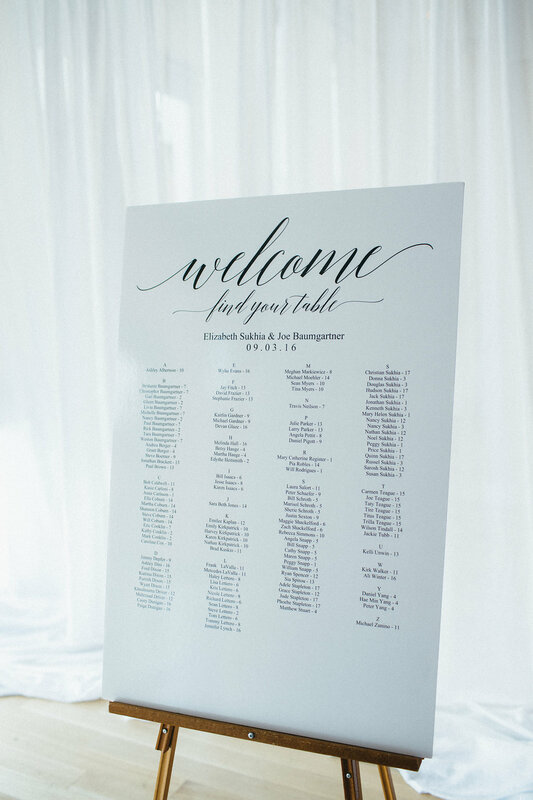 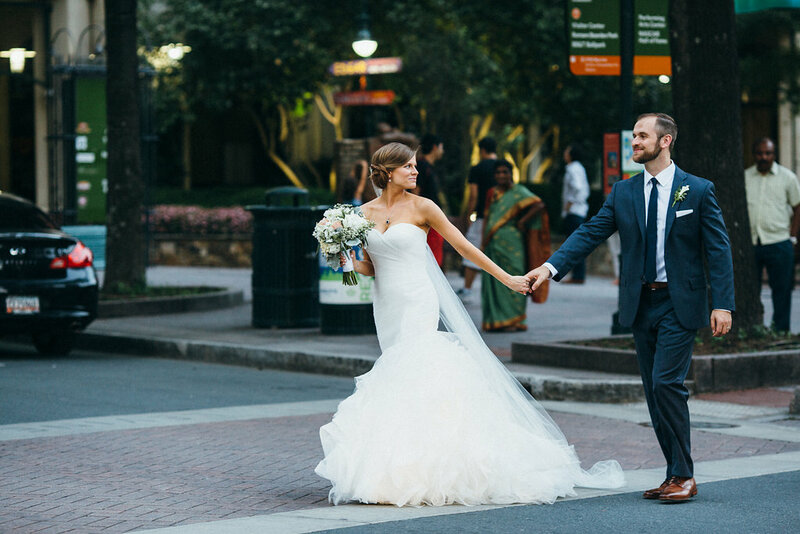 The contracted with me as their Charlotte wedding planner in January and we worked on their wedding for a solid 9 months of planning and I think everything turned out beautifully! 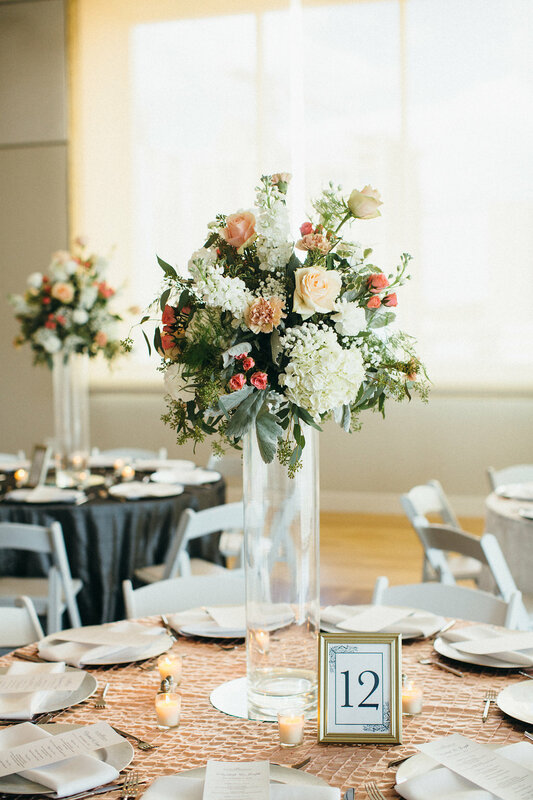 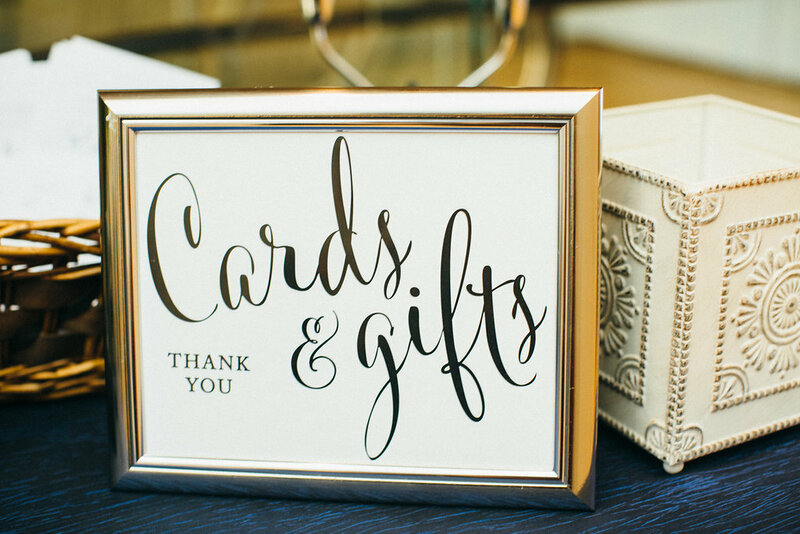 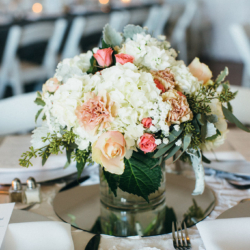 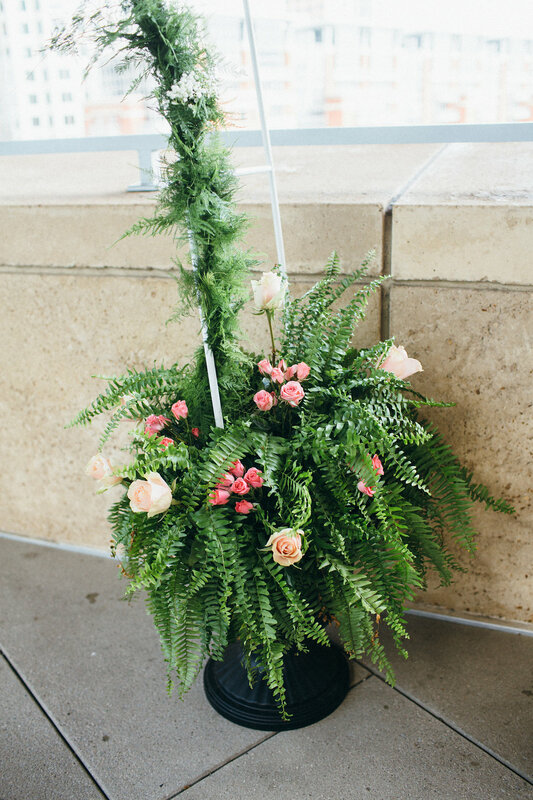 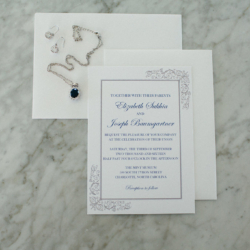 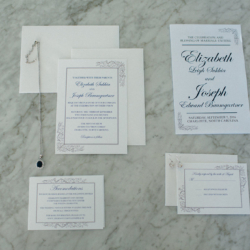 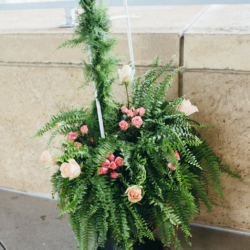 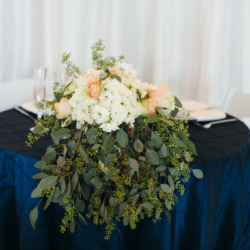 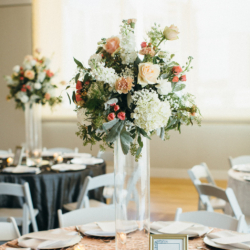 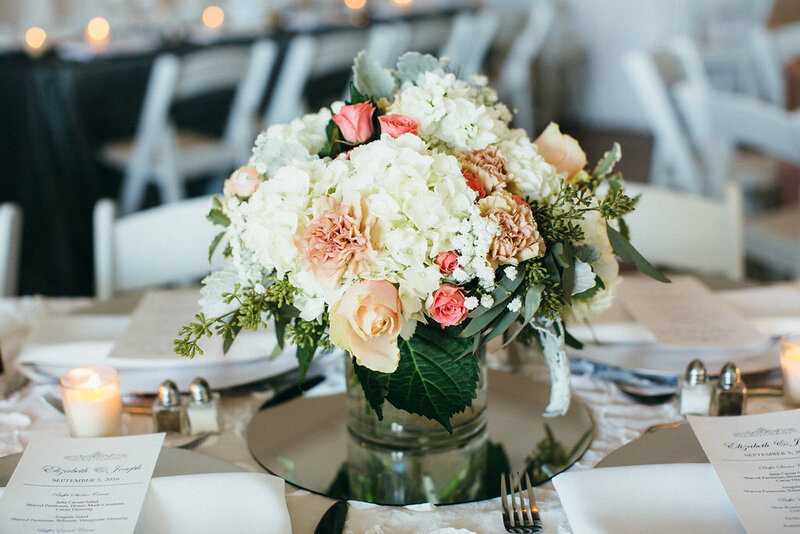 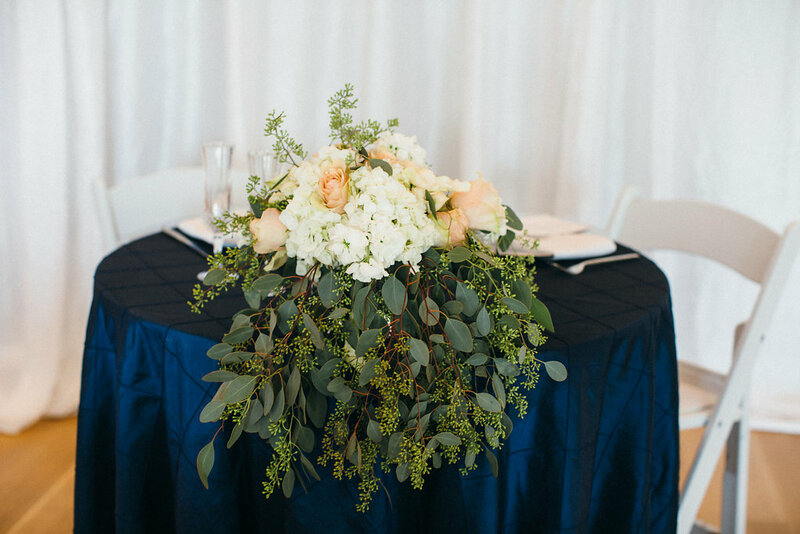 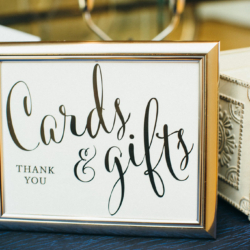 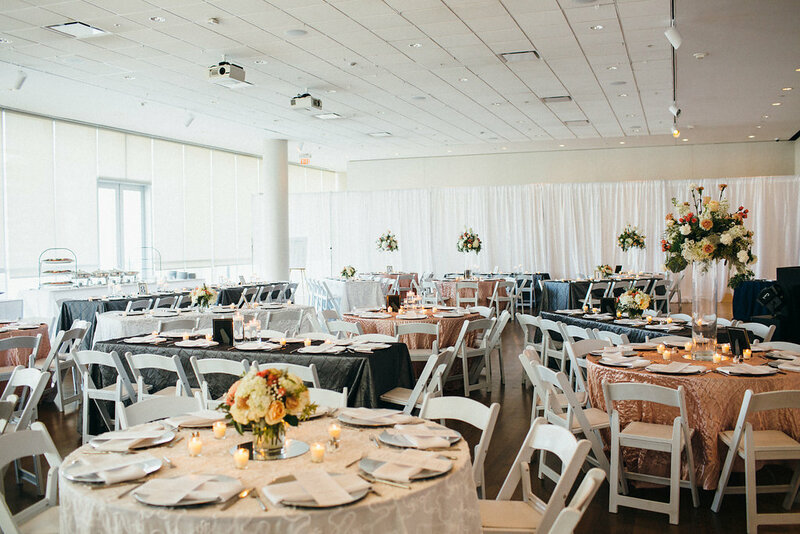 The blush pink and navy colors were classics that went perfectly with the modern Mint Museum Uptown location and achieved the bright and airy look Elizabeth was expecting. 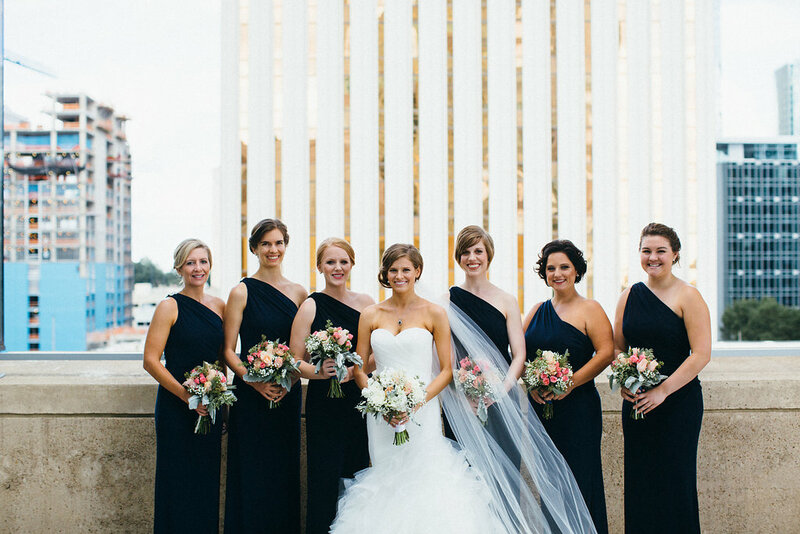 Elizabeth decided to block off the reception space until after the ceremony with draping. 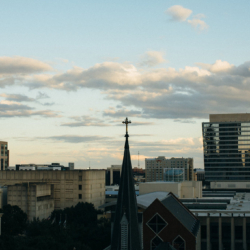 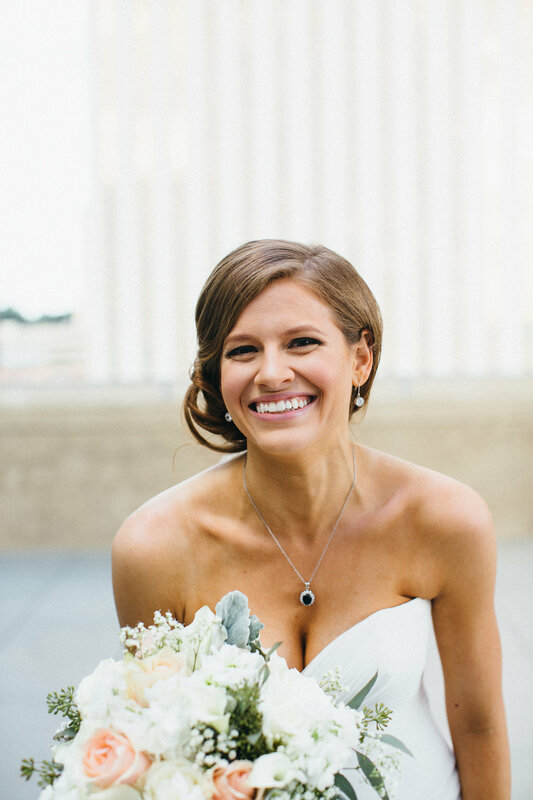 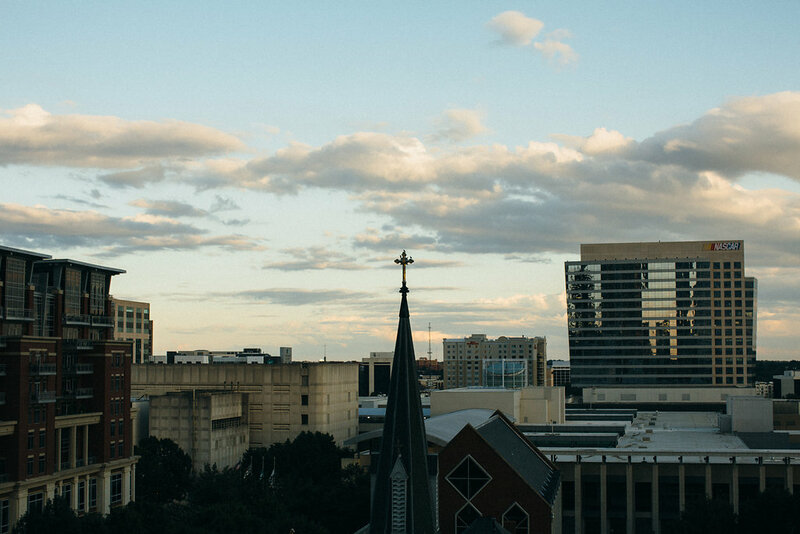 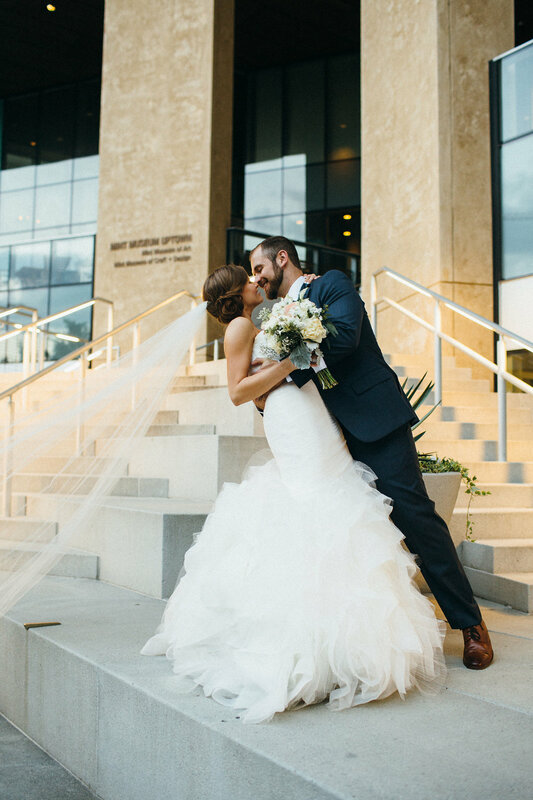 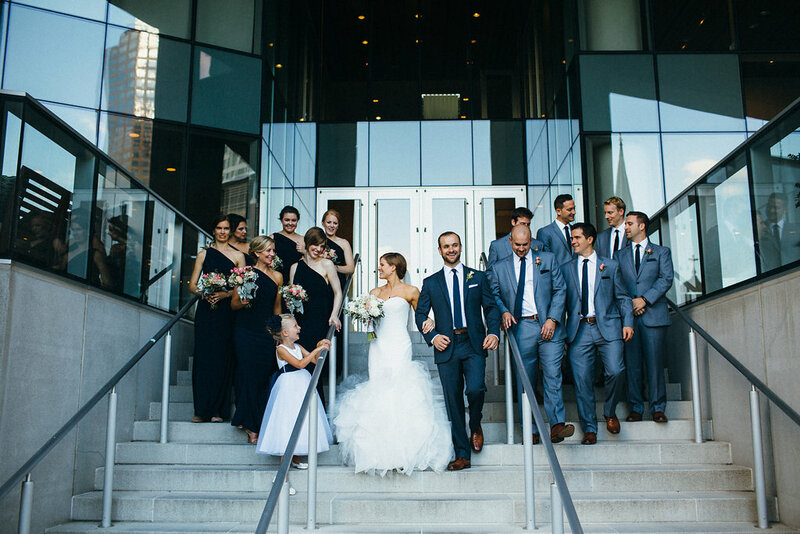 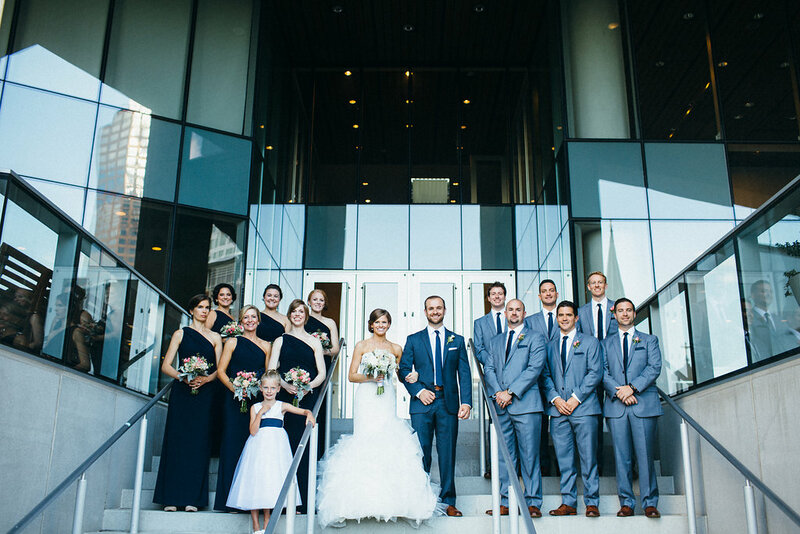 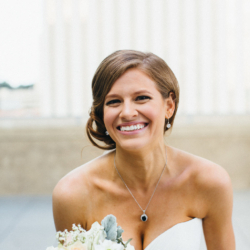 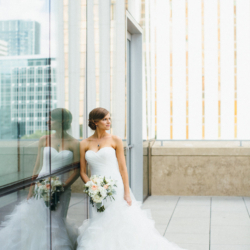 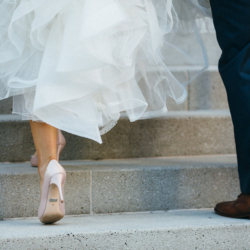 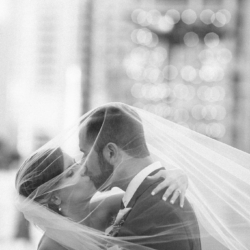 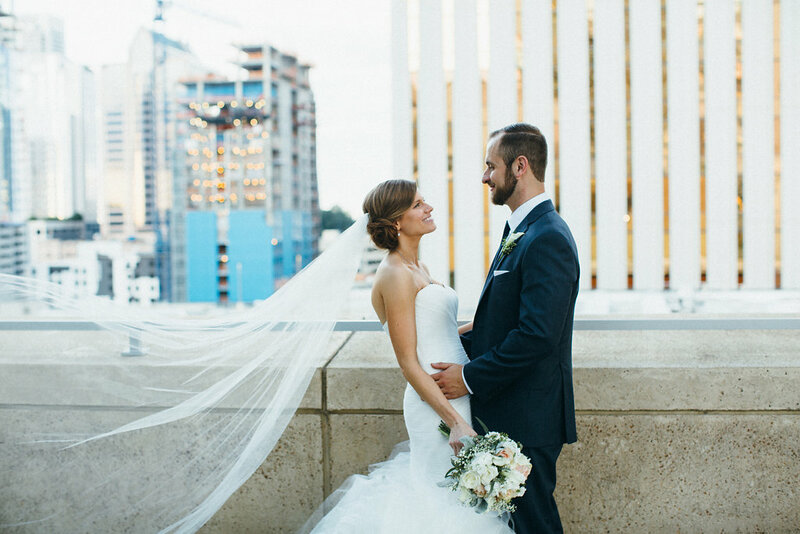 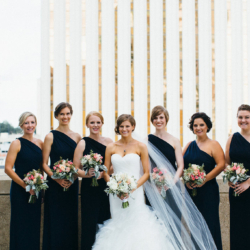 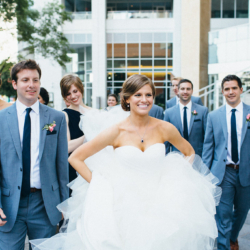 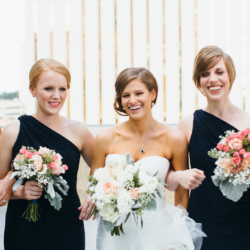 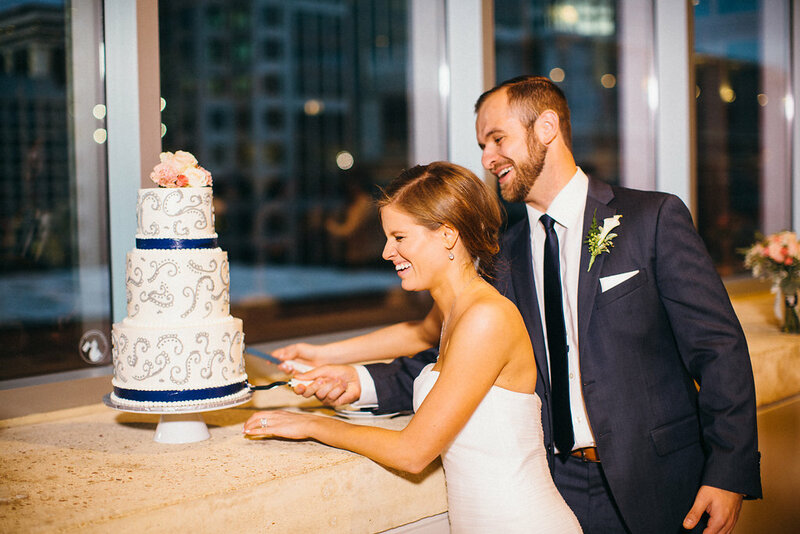 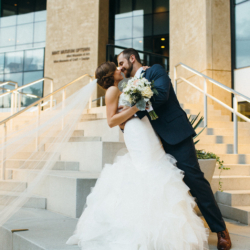 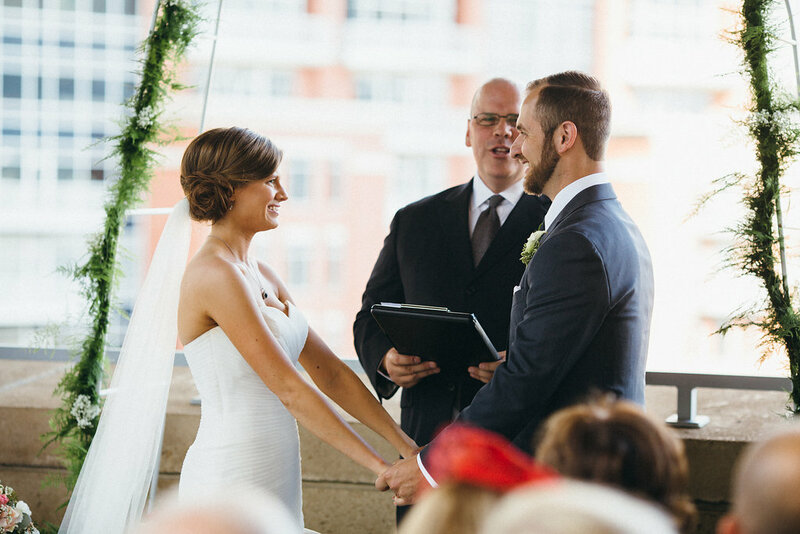 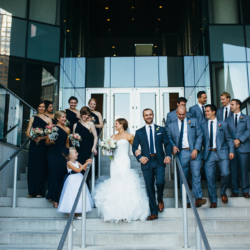 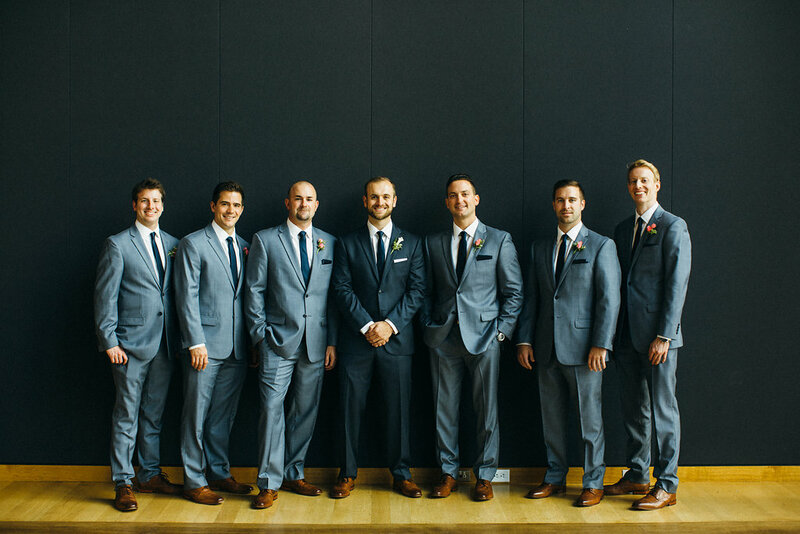 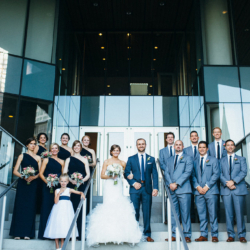 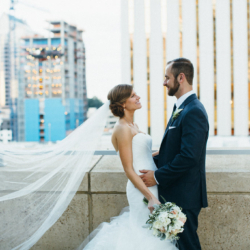 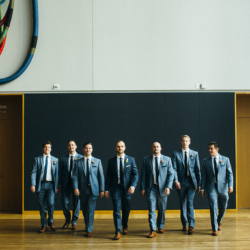 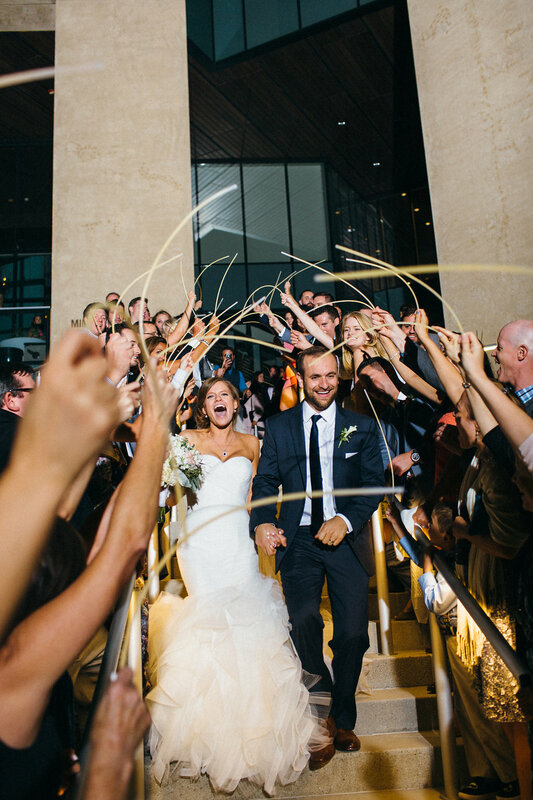 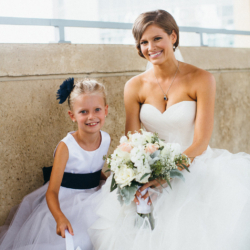 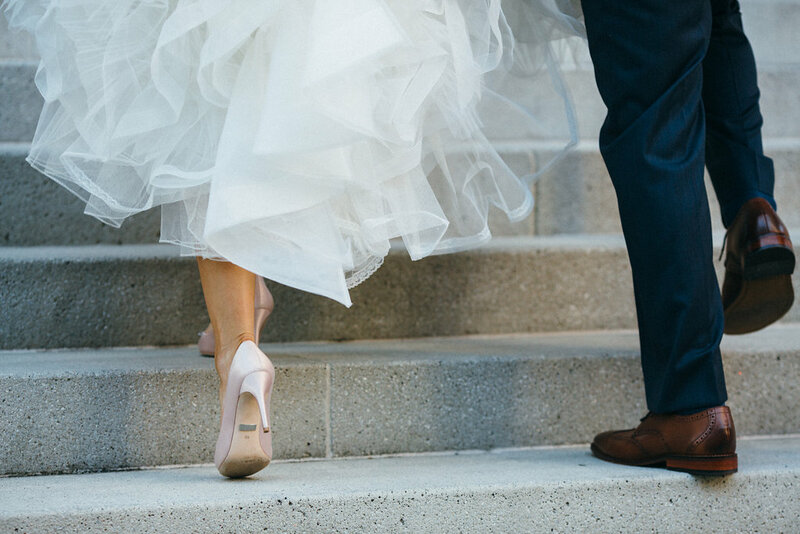 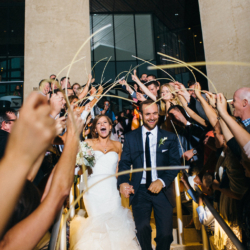 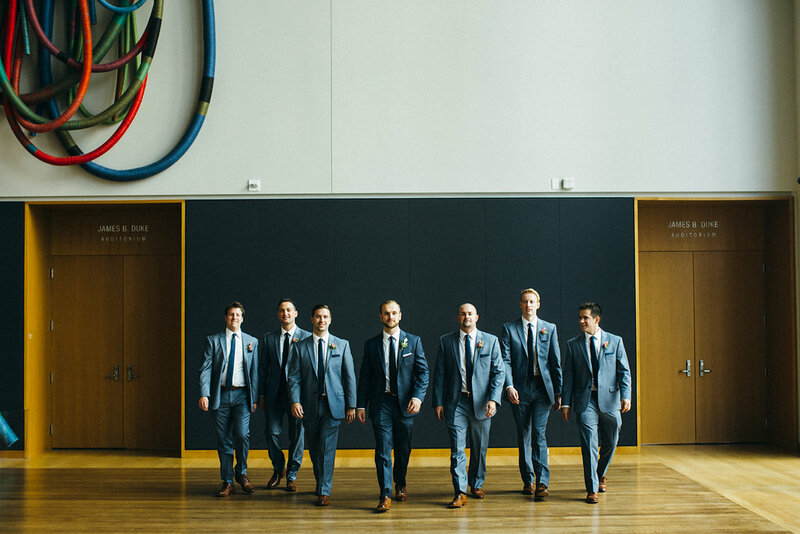 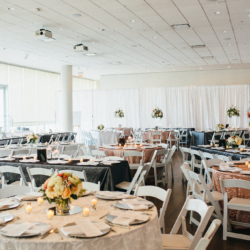 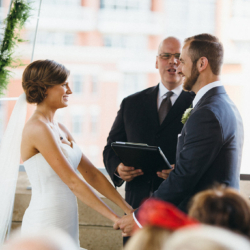 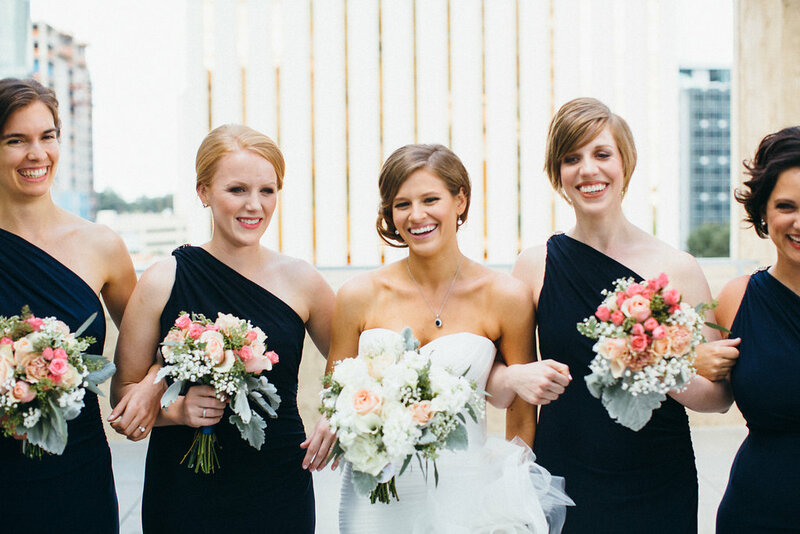 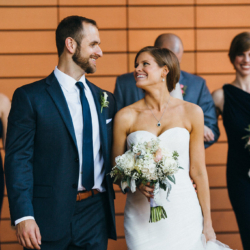 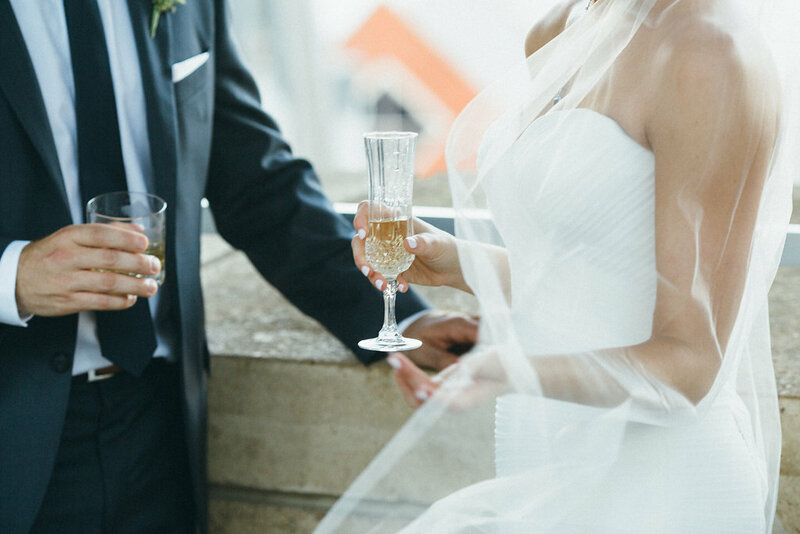 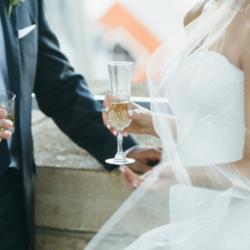 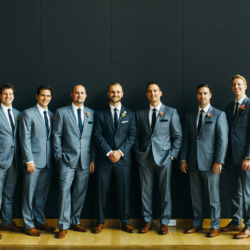 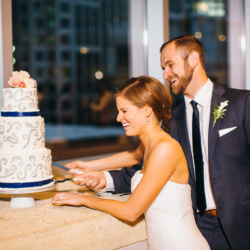 Their ceremony was outside on the Mint Museum terrace overlooking the city skyline. 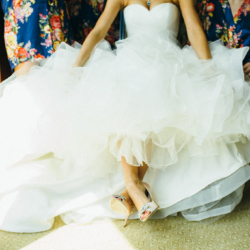 And her dress!! 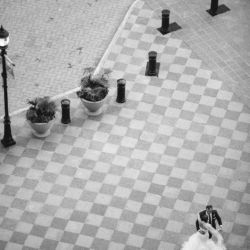 It was amazing is an understatement. 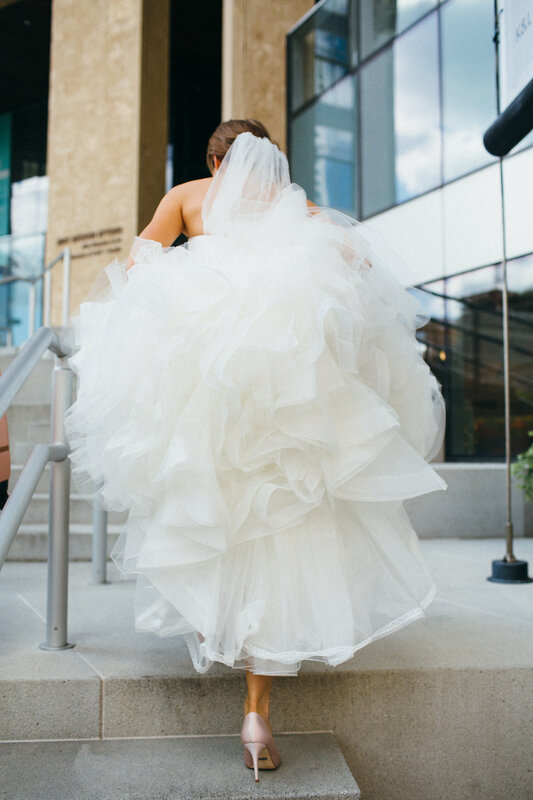 It was fitted at the top and full of pillow-like ruffles at the bottom. 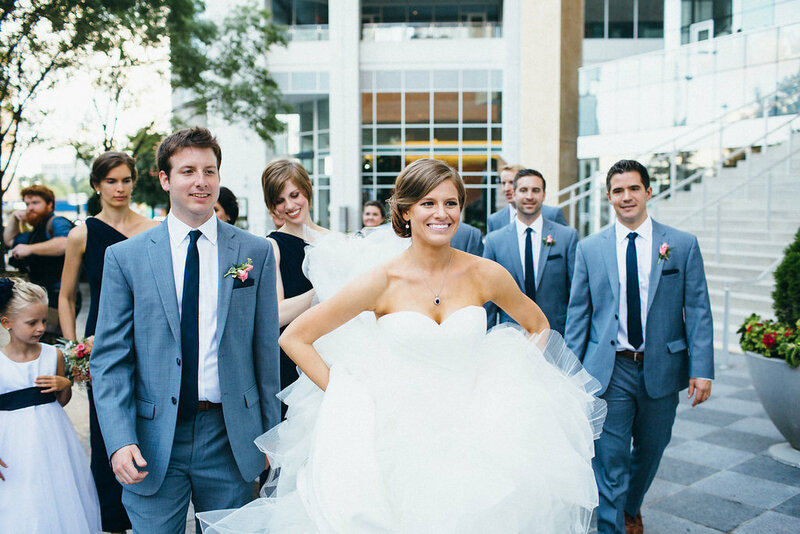 It fit her like a glove (thanks to Erin with RCB fashion!) 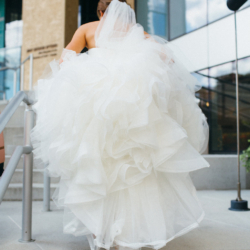 and she felt amazing in the dress, which is the most important element! 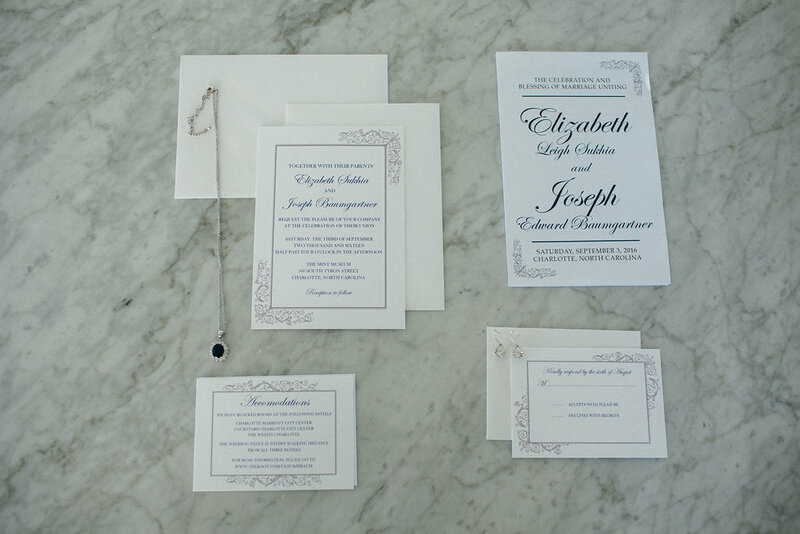 Elizabeth and Joe are such genuine couples who are truly in love. 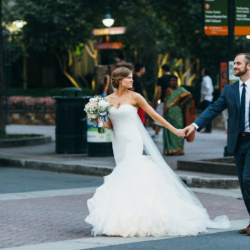 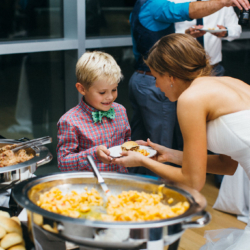 They met here in Charlotte at a Halloween Party and had their first date at Cabo Fish Tacos. 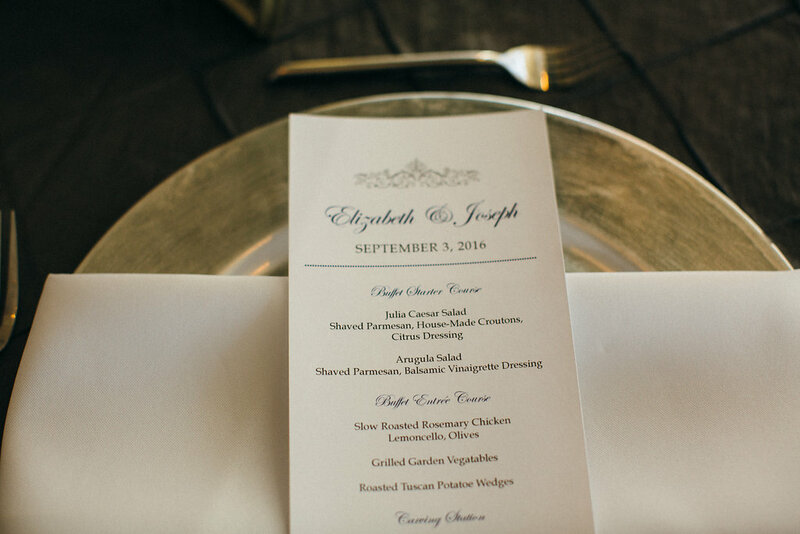 Elizabeth is from Tallahassee and Joe is from New Jersey. 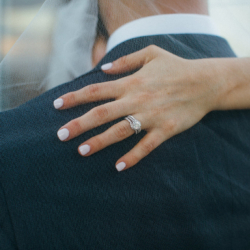 Joe proposed on a family vacation in the Outer Banks (my hometown by the way!) 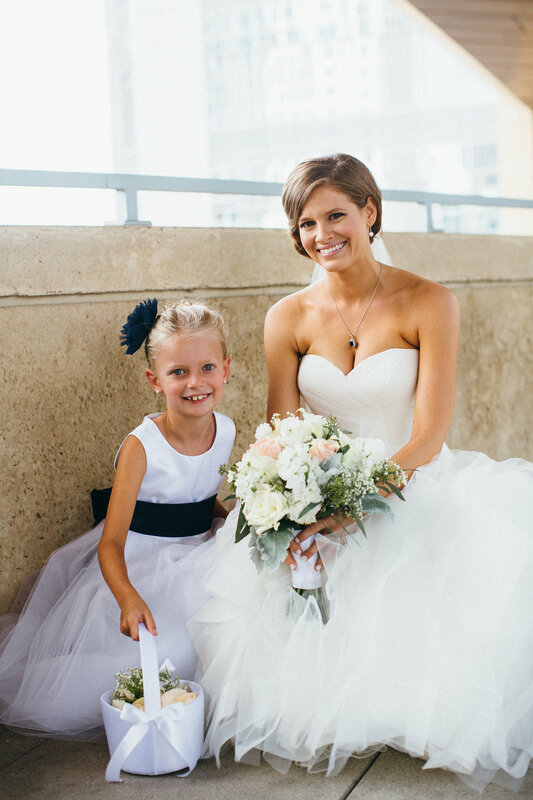 at the top of the Cape Hatteras Light House surrounded by her family. 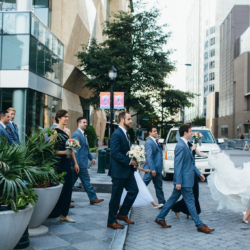 They decided to hold their wedding in the middle where they met and live, here in Charlotte! 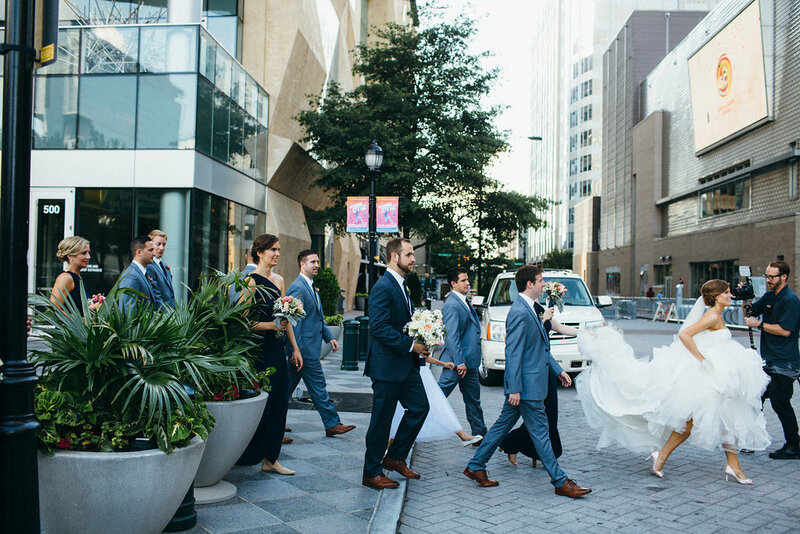 They also wanted their families to come experience the city for its beauty. 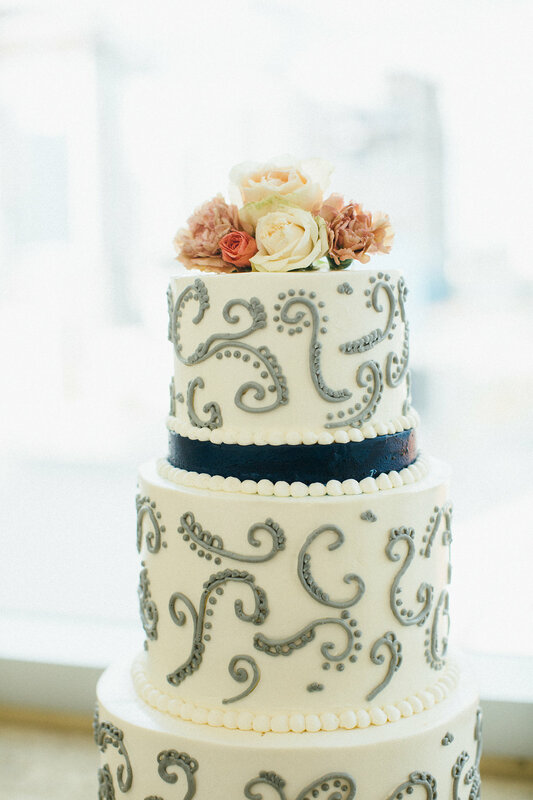 Elizabeth’s Dad painted the tree they used for thumbprints from the guests for their guest book and they had the cutest mini champagne bottle favors! 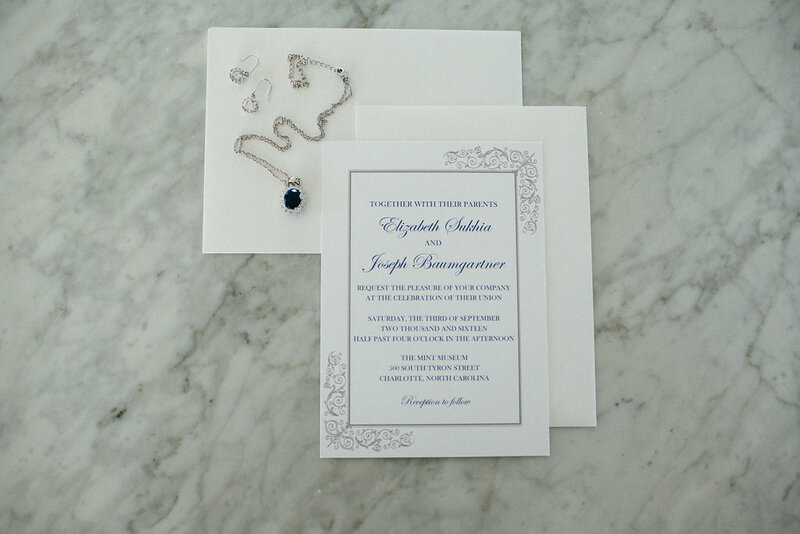 I worked directly with Joe’s Aunt on the floral design, since she lives in New Jersey. 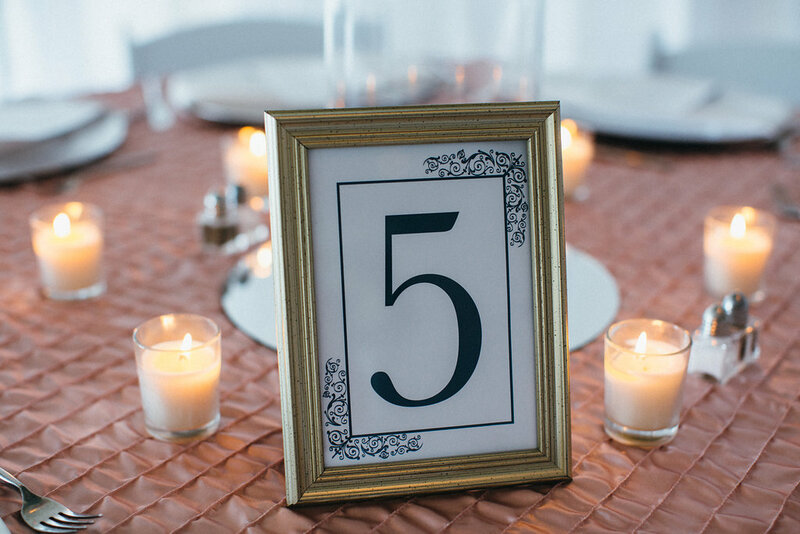 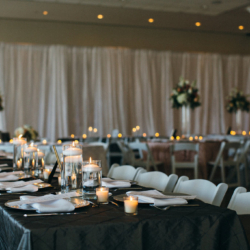 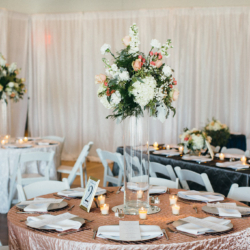 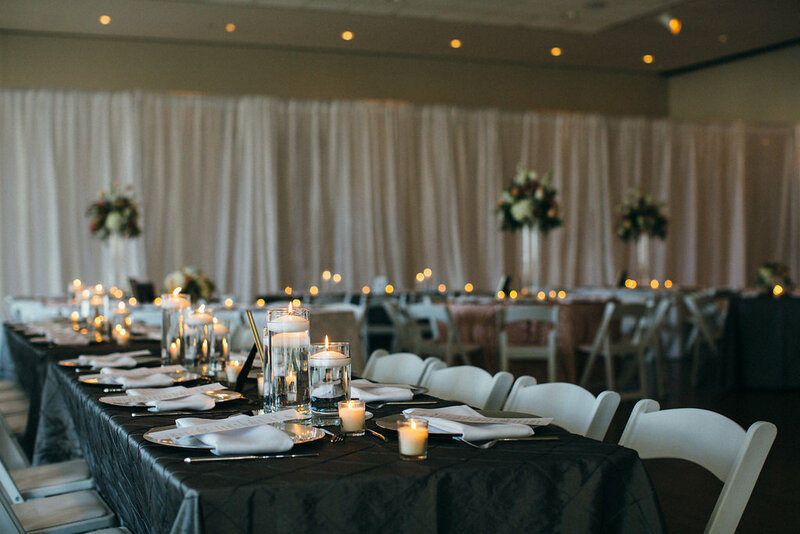 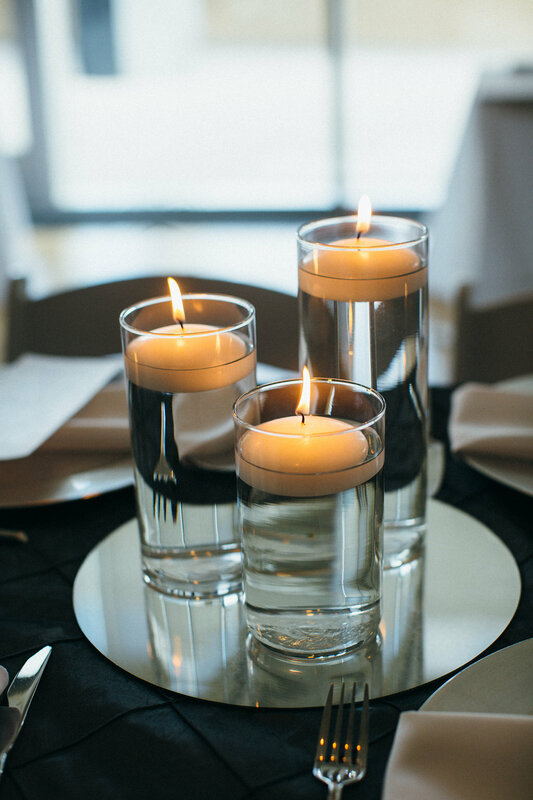 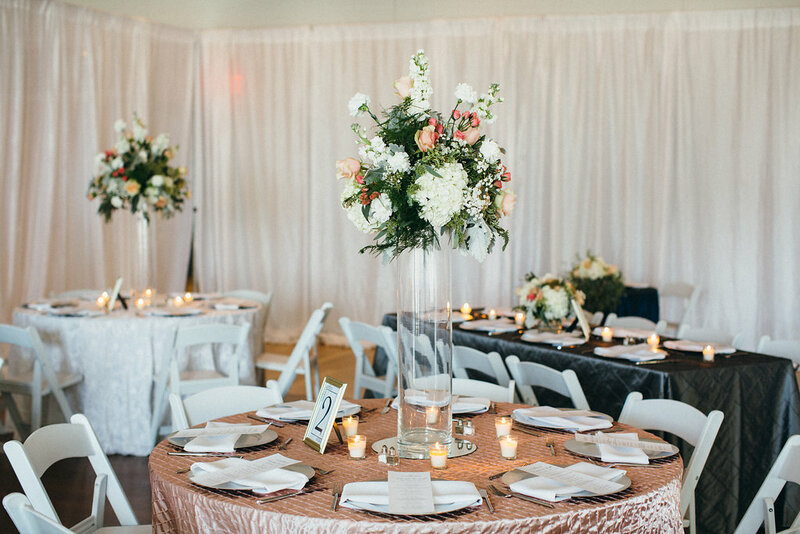 My design loving heart was so happy when Elizabeth trusted my judgment on the linen rentals – the textures and colors of the linens went perfectly together with the entire day and truly made the space all their own. 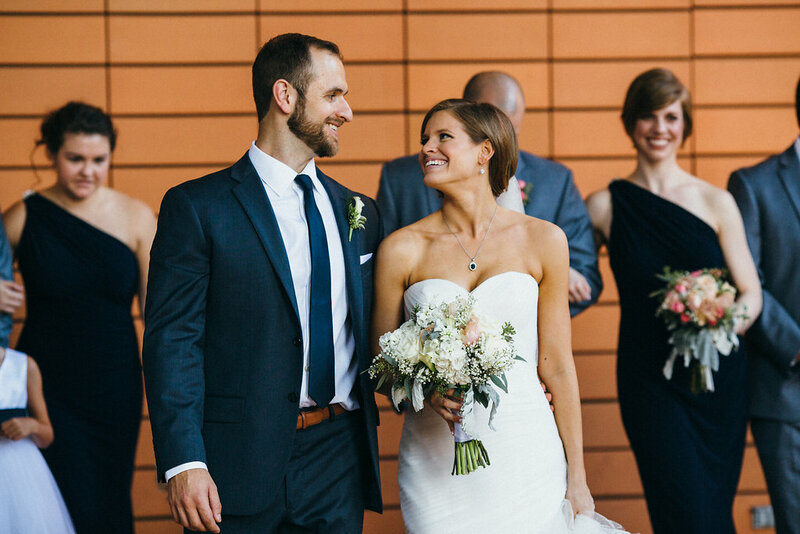 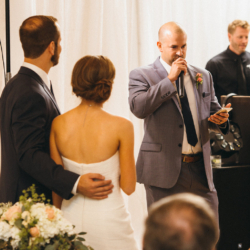 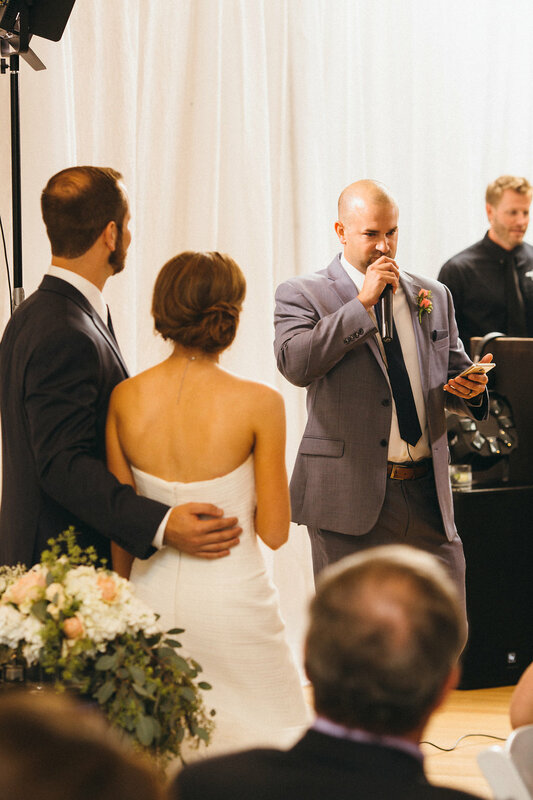 Elizabeth’s brother played the violin for her walk down the aisle, making the ceremony extra special and meaningful. 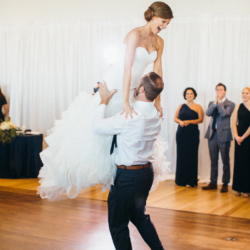 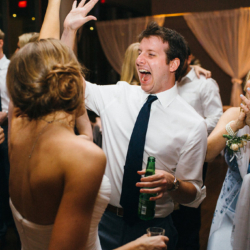 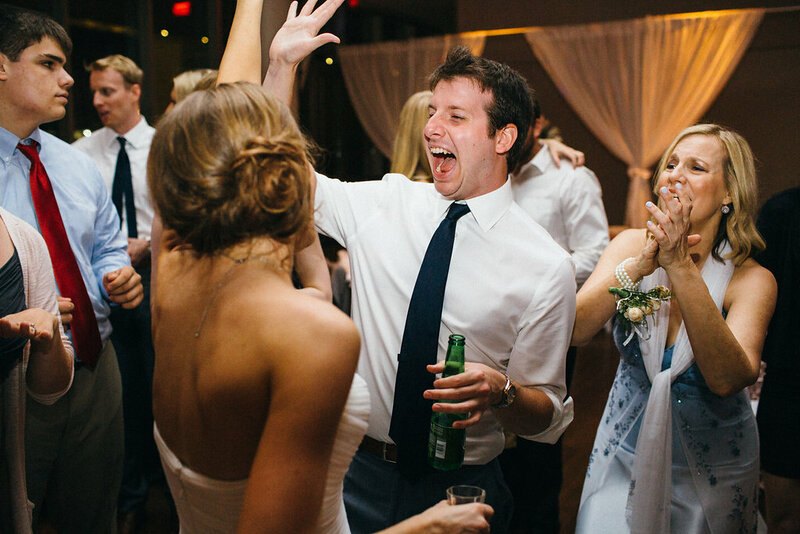 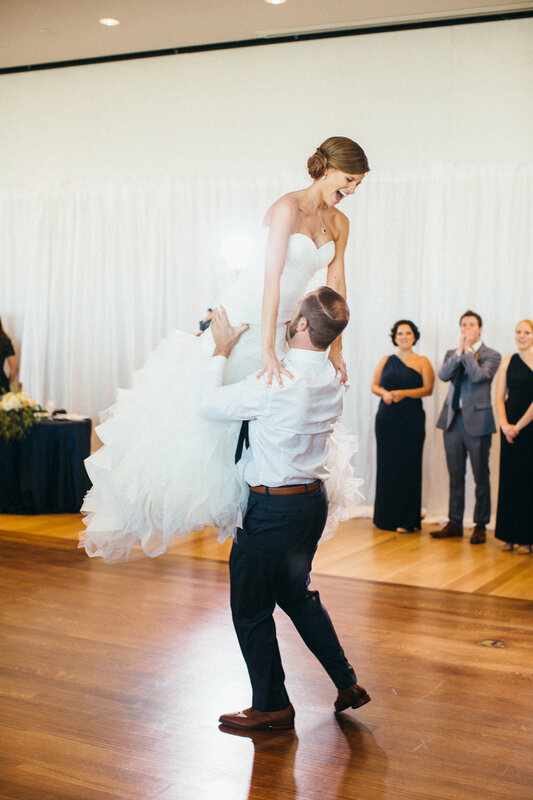 Also, Elizabeth and Joe took dance lessons and did the most amazing lift during their first dance! 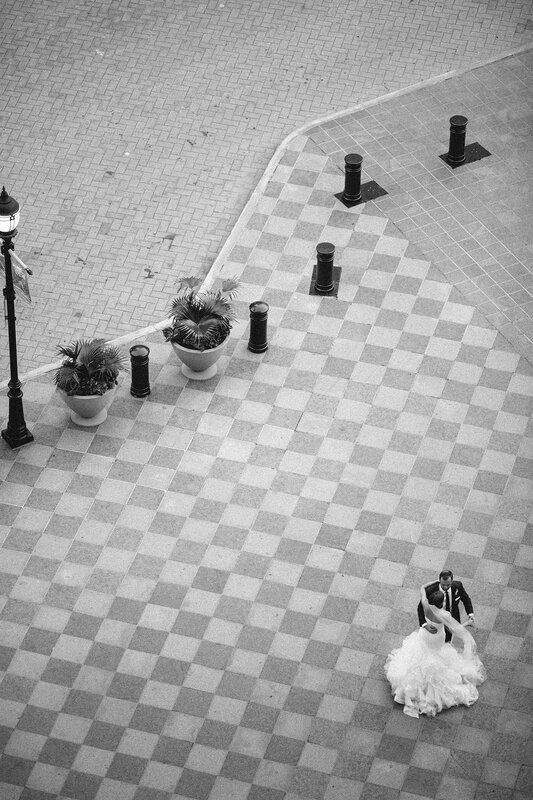 I know firsthand they were nervous about it but I told them just to go for it and they nailed it! 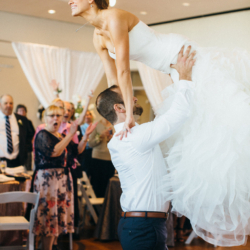 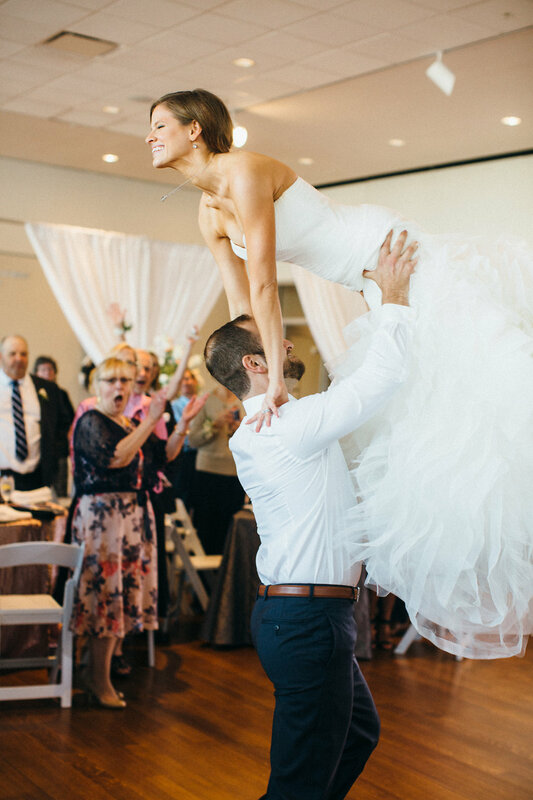 It was so amazing to watch and be in that room with all of their guest’s excitement over this lift. 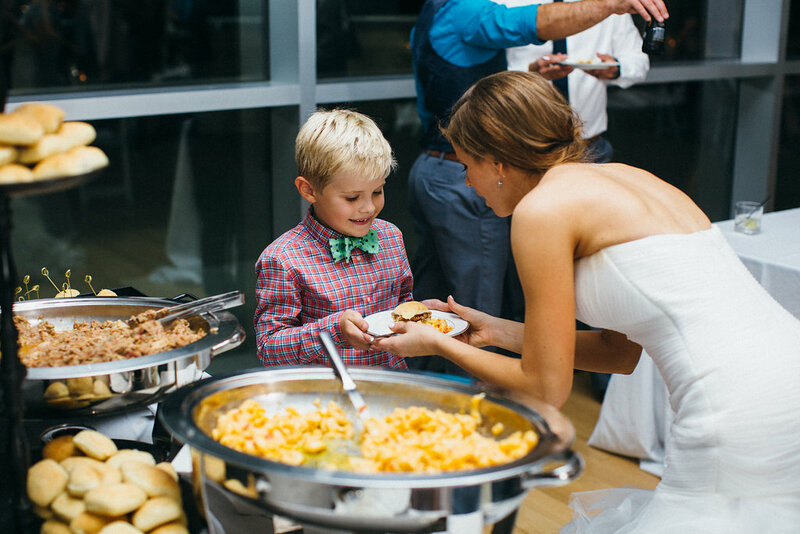 Their midnight snack was a huge hit and everyone truly appreciated something a little extra towards the end of the night.